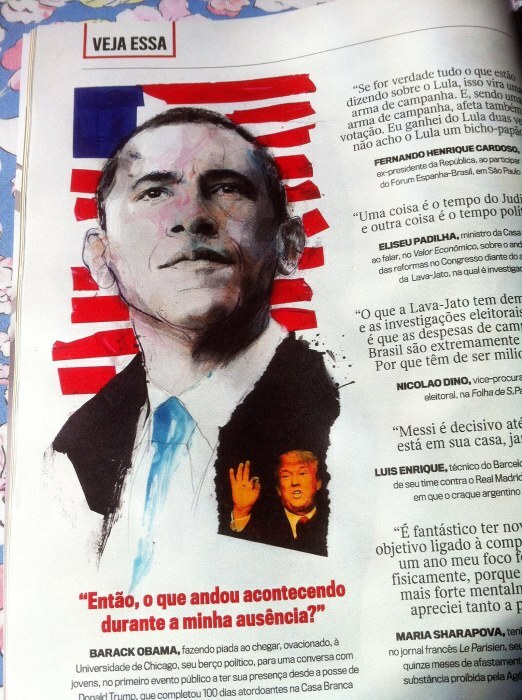 Here’s a great new portrait of Obama by ZE OTAVIO for VEJA Magazine. The premise of the article was based on the best quotes of the week. 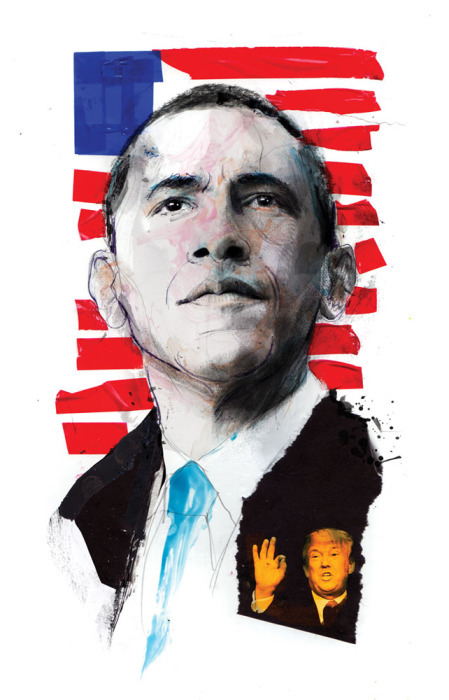 It’s a fairly loaded question, I’d say…”So, what’s been going on while I’ve been gone?” Former President Barack Obama makes his first public appearance at the University of Chicago since leaving the White House.